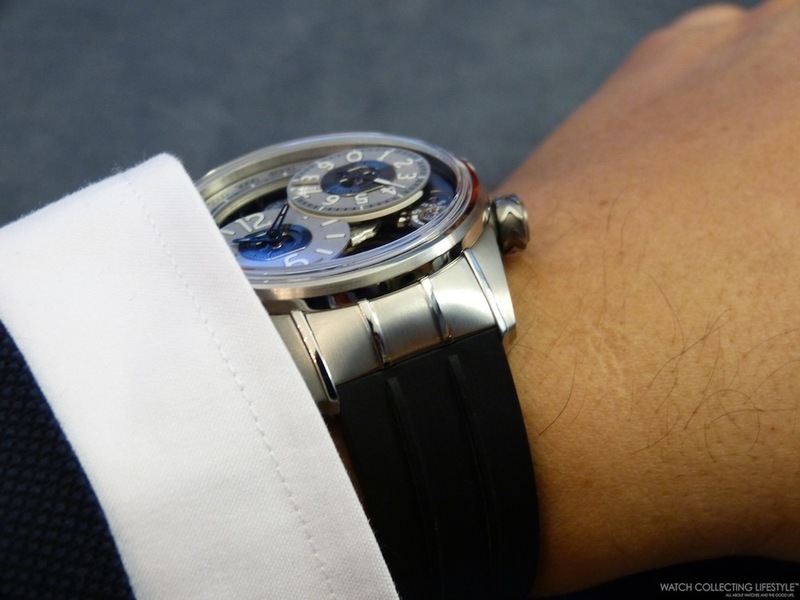 Insider: Pre-Baselworld 2014 Breva Genève Génie 02 Terre. Live Pictures and Pricing. 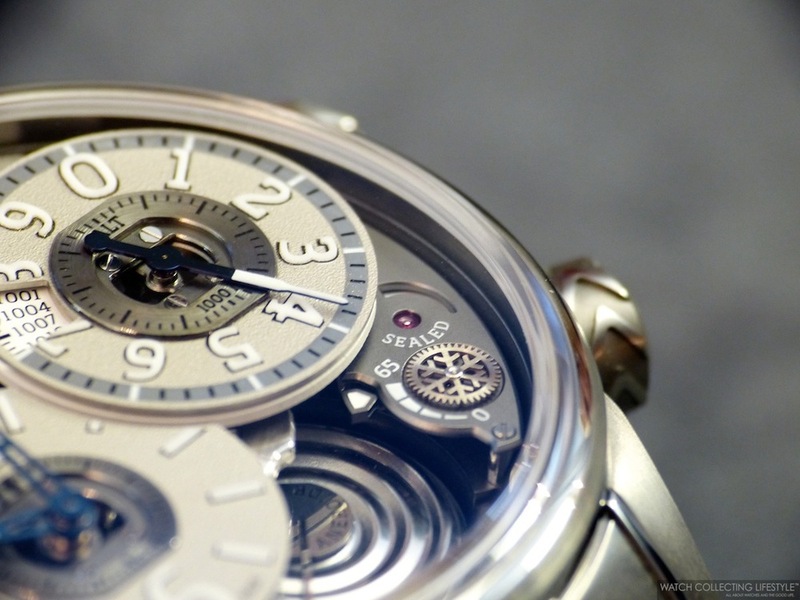 Following the success and ground breaking technology behind the Génie 01 with barometer, Breva Genève presented the Breva Génie 02 Terre a few weeks ago during the week of the SIHH in the city of Geneva. This new watch combines the stunning sophistication of a beautifully crafted mechanical timepiece with the practicality of a fully functional, high-performance mechanical altimeter. The Génie 02 Terre is a limited edition of 55 pieces in titanium G5 and is available with either meter or feet calibrations on the altimeter. The superbly finished proprietary movement —with a power reserve of 65 hours—, much of which can be fully appreciated through the open dial and display case back, was developed exclusively for Breva by award-winning movement constructor Jean-François Mojon from Chronode. Génie 02 Terre is 100% Swiss-made, from inception to realization. The dial side is dominated by a sub-dial at 8 o'clock displaying hours and minutes, and the precision altimeter sub-dial at 2 o'clock displaying meters or feet. 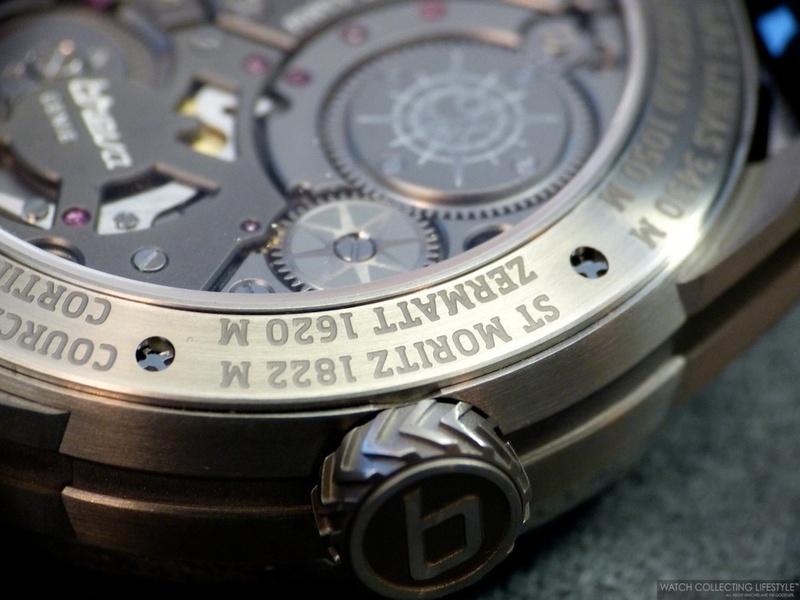 Arching around the top of the dial is the large-scale altitude indicator, which displays up to 5,000 meters —16,400 feet—, with small seconds below. 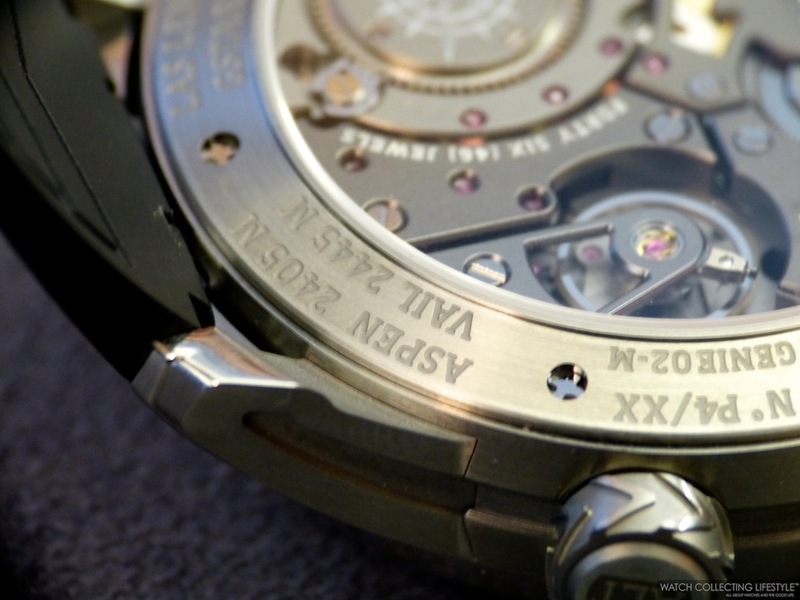 At 4 o'clock, an indicator shows when the air valve is open or closed —it must be open to indicate the altitude—, below which is the 65-hour power reserve indicator. In pride of place at the bottom of the dial, the top of one of the two aneroid capsules measuring air pressure —from which the altitude is derived— is visible, with a high-precision arm multiplying by 200 times the expansion and contraction of the capsules and relaying the air pressure to the two altitude indications. On the wrist the new Breva Genève Génie 02 Terre is extremely comfortable as it is fitted with a very nice black rubber strap with pin buckle. The watch wears true to its size and very light on the wrist thanks to the lightness of the titanium used for its 44.7 mm case. Sticker Price $132,000 USD. 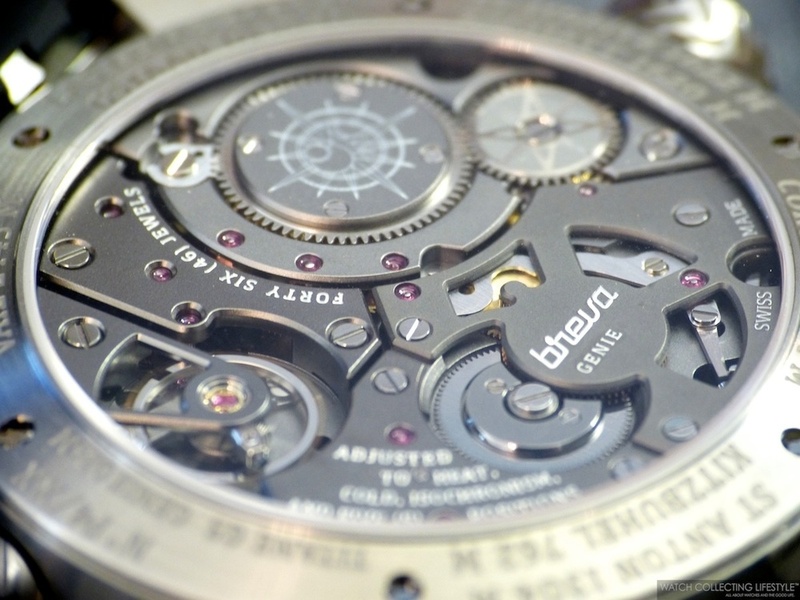 For more info on Breva Genève click here. Posted on February 10, 2014 by Editor & Publisher and filed under Baselworld, Other Brands, Breva and tagged Breva Genève Génie 02 Terre.